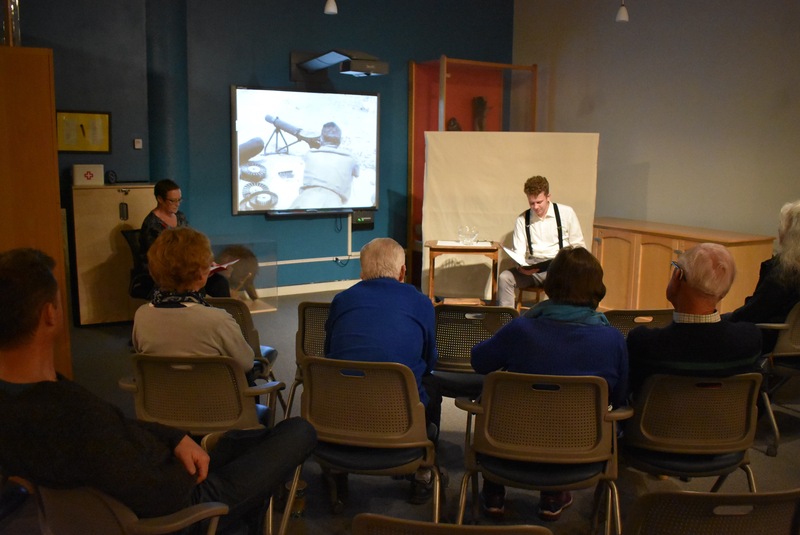 On November 17, 2018, the Musée Héritage Museum hosted Letters from the Front. 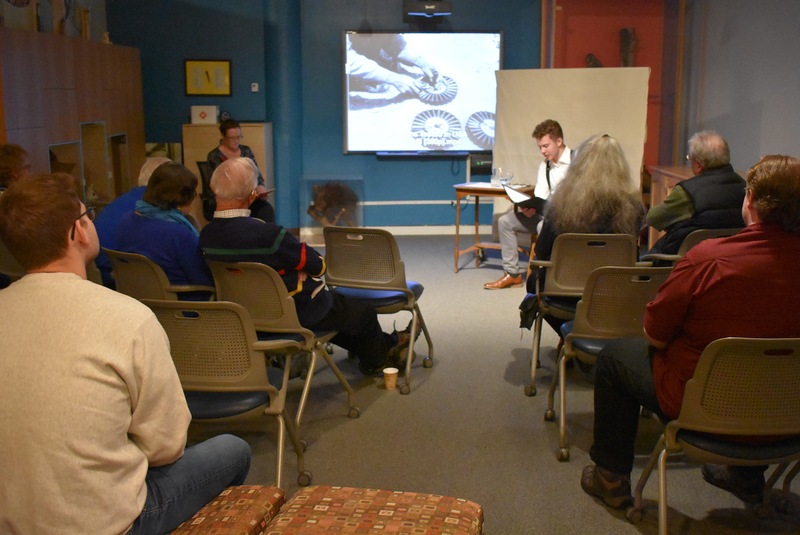 In the afternoon, letters written by First World War soldiers from Alberta were read out loud to an audience. Ethan Kidney did the honour of bringing a voice to these soldiers, many of whom were killed in action. Our curator, Joanne, provided additional context about each soldier in between readings. The act of bringing a voice to these letters was quite moving for everyone in the room. 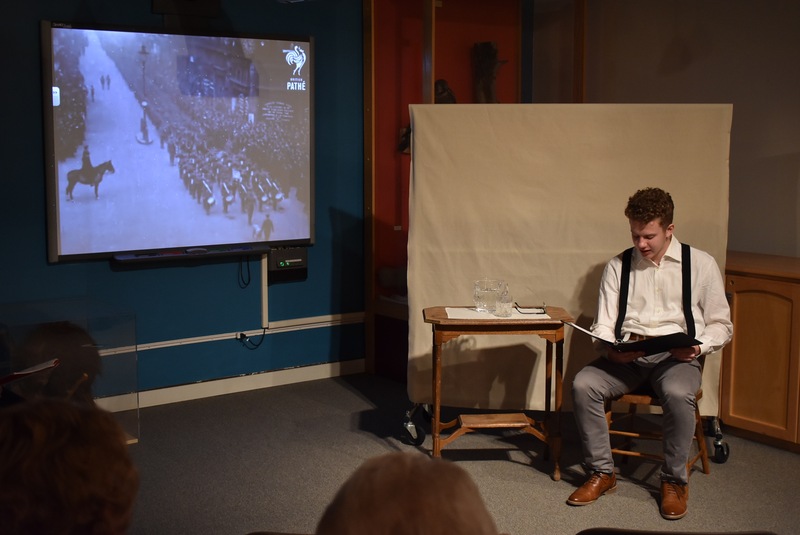 Most of the soldiers who fought during the Great War would have been about the same age as Ethan, so having him read the letters out loud made it seamless to connect with each of these soldiers on an emotional level. 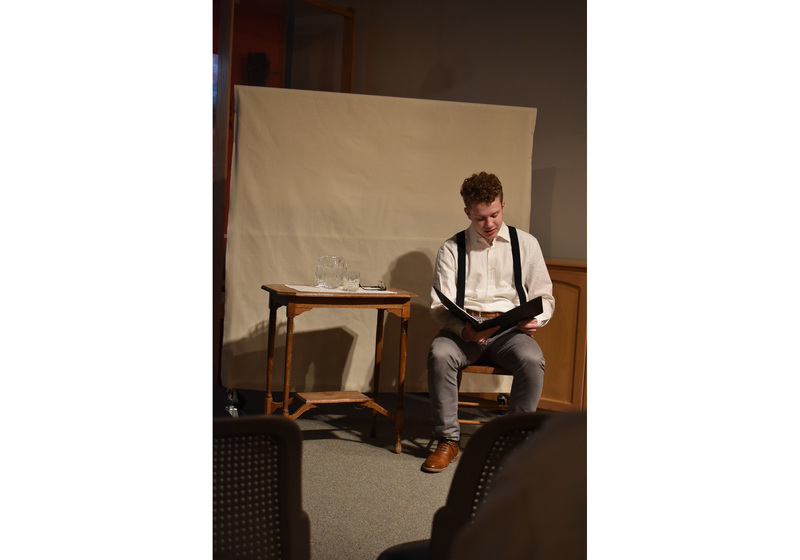 Ethan did a wonderful job of representing our Albertan soldiers and emoting the thoughts and pains expressed in their letters. 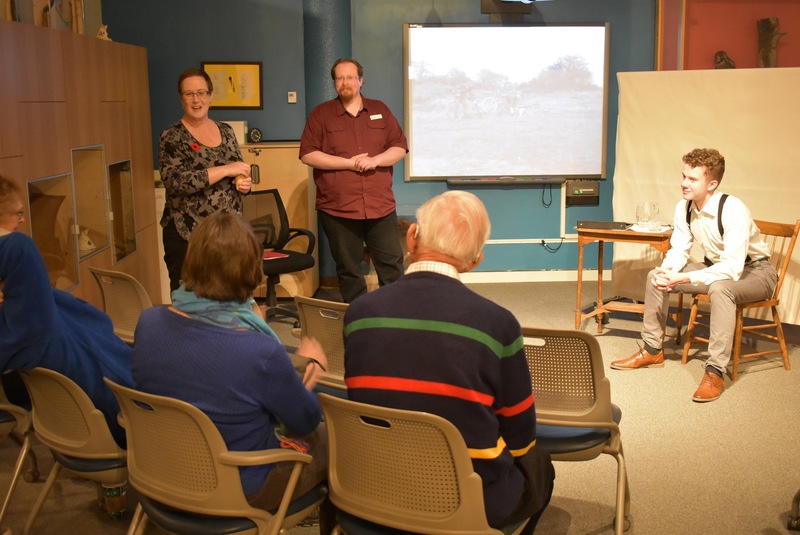 We also had silent footage from the First World War playing in the background that worked well to add to the atmosphere of the afternoon. It was actually remarkable how well the videos related to what was read by Ethan, largely in part because most of the soldiers would have had similar experiences on the front lines. Thank you to all who attended. We hope to be able to provide more of these sessions in the future. For more information please visit our website museeheritage.ca or contact 780-459-1528.